Pontania triandrae is a sawfly galling Salix triandra. The gall is bean-shaped, starting off green then maturing red. It is smooth and thick-walled, protruding through both the upper and lower leaf surface. 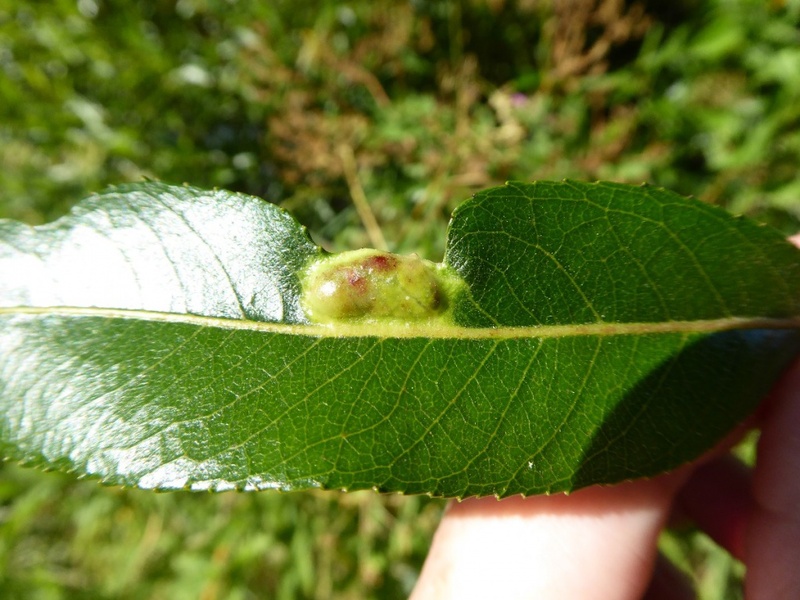 The galls are only found on Salix triandra (Almond Willow).